Steven Pang is the co-author of Everything You Wish To Ask A Headhunter. He leads a nomadic life of some sort. 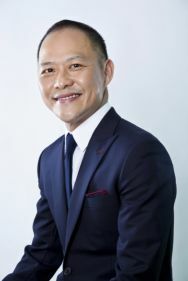 Having lived and worked in Australia, Malaysia, Japan, and currently in Singapore, he also travels extensively across Asia for business and pleasure. He has over 19 years of experience in the executive search, recruitment, and staffing industry. After starting out as a recruiter with one of Australia’s biggest recruitment firms, Steven went on to lead successful recruitment companies with over 100 staff across Asia. His colourful and extensive experience has given him valuable insights into recruitment markets in Asia and positions him as an expert in this subject matter.